Watermelon may be my favorite summer treat, especially this time of year when it's at its peak. 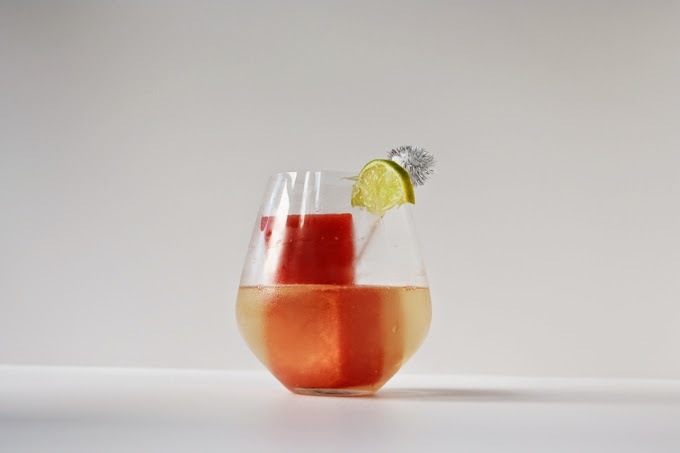 Its crisp texture and satisfying flavor makes it a go-to snack, but let's be honest, the real deal is when you can mix up an easy cocktail concoction. 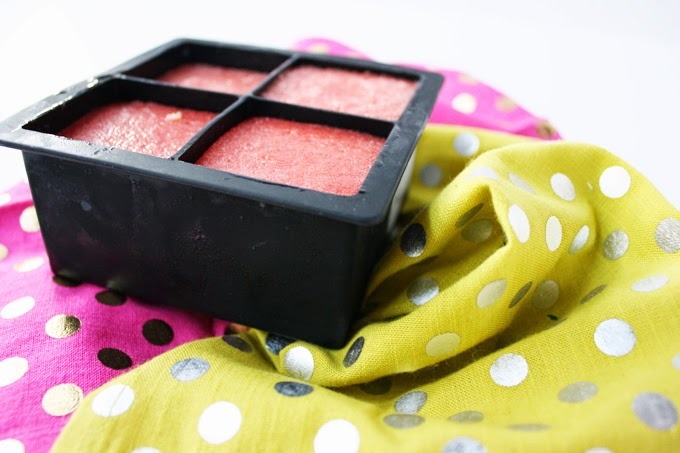 Always looking to jazz up champagne, I puréed about 2 cups of watermelon in my blender, poured it into an oversized icecube tray, froze it for a few hours, & popped it in a glass. 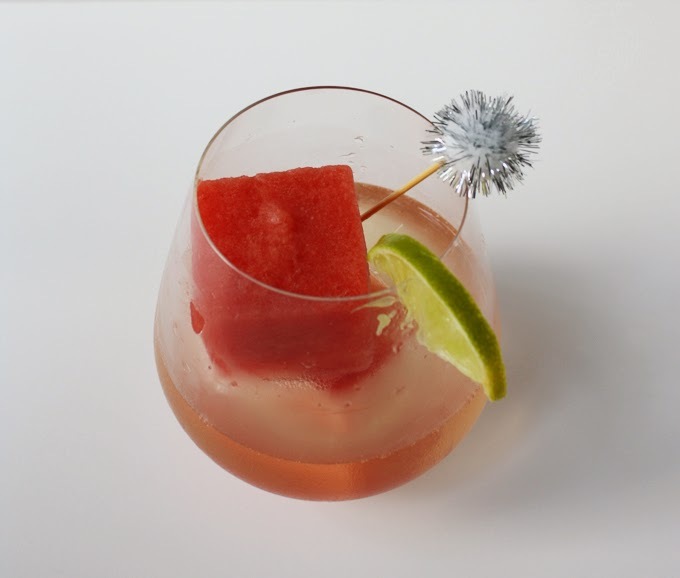 I finished it off by pouring my favorite blanc de blanc over a few cubes and letting it melt just a tad for that subtle watermelon flavor. A refreshing summer cocktail at your service! PS. Yesterday was National Watermelon Day - how apropos! So simple and easy - plus tasty too!